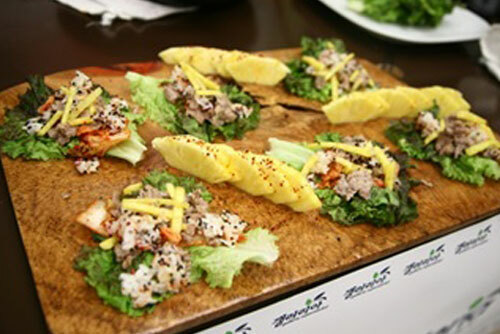 Serve to your guests as a delicious finger food! *** Gochujang can be replaced with a thick hot sauce and the Korean red chili pepper flake with standard chili flakes or cayenne. The red leaf lettuce may be substituted for romaine or Boston lettuce.